It’s the summer after senior year, and Briggs Henry is out the door. He's leaving behind his ex-girlfriend and his parents’ money troubles for Lake Michigan and its miles of sandy beaches, working a summer job as a personal assistant, and living in a gorgeous Victorian on the shore. But then he gets there and his eighty-four-year-old boss tells him to put on a suit for her funeral. So begins a summer of social gaffes, stomach cramps, fraught beach volleyball games, moonlit epiphanies, and a drawer full of funeral programs. 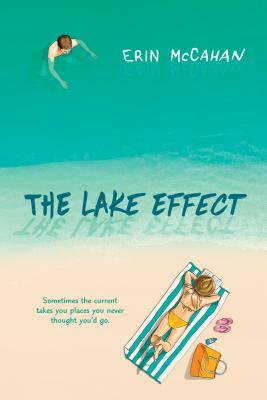 Add to this Abigail, the mystifying girl next door on whom Briggs's charms just won’t work, and “the lake effect” is taking on a whole new meaning. Erin McCahan is a native Michigander who grew up on the beaches of Grand Haven and Macatawa. Now a resident of landlocked New Albany, Ohio, she and her husband return every summer to North Beach in South Haven, on the shores of Lake Michigan. Look for them under the red and white striped umbrella.